The 2012 Tullett Prebon London Boat Show is in its 2nd weekend at ExCeL London, running through Sunday (15 January). This is the second weekend of the Houston International Boat, Sport and Travel Show, which runs through the 15th. Actually, it's the first full weekend of the show, as it was cancelled for a day on Saturday the 7th for a football game. This is a pretty big show and is celebrating its 50th anniversary. Unfortunately, one of the big draws this year - a 200,000-gallon water tank that is the platform for an indoor wake park - burst this morning - on the opening morning of the show, delaying the show's opening until 2 pm. 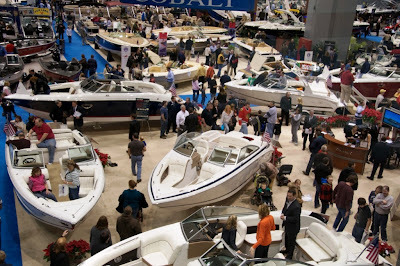 The Atlanta Boat Show runs through Sunday. Wear your galoshes. The Portland Boat Show started today and runs through Sunday in Oregon. The event is being held in conjunction with the Rose City RV Sale, which you can get into for free with your paid admission to the boat show. The Chicago Boat, Sports and RV Show also started today, but this event is running a day longer than most weekend boat shows. The show, which is being held at the North Building of McCormick Place, goes through Monday, taking advantage of the MLK holiday. It wouldn't be a big boat show weekend if there wasn't a show somewhere in Florida, and this weekend the city of Stuart stepped up to the plate. The Treasure Coast city is holding the Stuart Boat Show across four different locations, Friday through Sunday. The Nashville Boat and Sportshow is at the Nashville Convention Center, today through Sunday. The Denver Boat Show starts on Friday the 13th, and runs through Sunday, at the Colorado Convention Center. The Providence Boat Show, the first New England show of the year, begins today at the Rhode Island Convention Center and runs through Sunday. 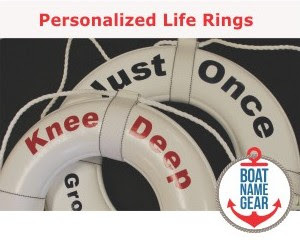 The Toronto International Boat Show has what they're calling a 'special preview night' on Friday the 13th, and officially runs Saturday the 14th through the following Sunday, the 22nd. 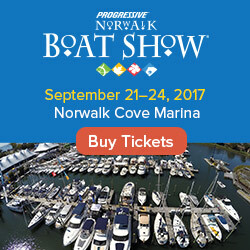 Dates, times and links to the official event websites can be found on the First Boat boat show calendar. A few future shows are there as well, though we typically add them at the last minute. That's how we roll.